Vancouver, British Columbia--(Newsfile Corp. - April 25, 2018) - YDreams Global Interactive Technologies Inc. (TSXV: YD) (OTC Pink: YDRMF) (FSE: A2AP0L) ("YDreams Global" or the "Company) is continuing to work on blockchain integration for the Arkave VR segment of YDreams. The team is working to incorporate the acceptance of crypto currencies within the Arkave ecosystem. YDreams is a member of the Hyperledger Foundation, which is uniting visionary companies such as Intel and IBM to create and establish the future of blockchain technology. Daniel Japiassu, CEO of YDreams Global commented, "As bitcoin and altcoins become more integrated in the mainstream, we plan to incorporate new blockchain technology within the Arkave ecosystem to maximize our potential revenue streams. 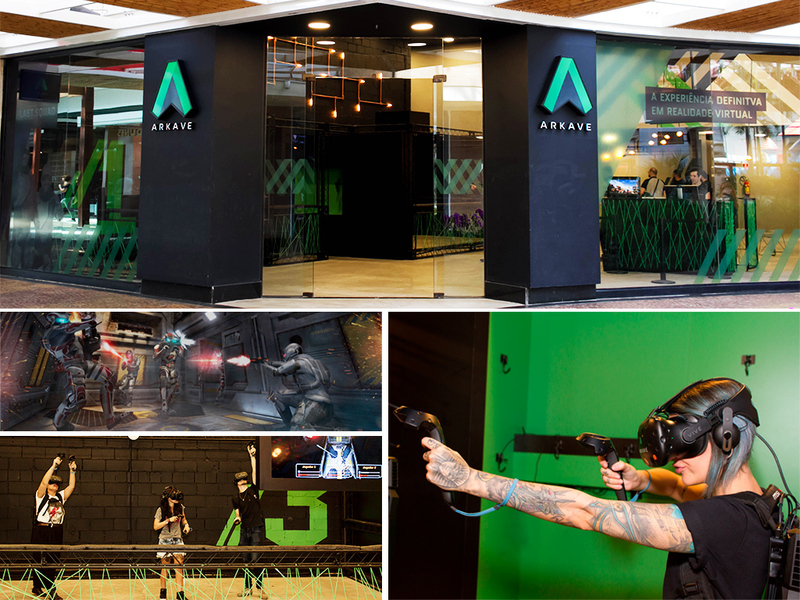 We are planning on expanding the Arkave/VR locations in 2018 and look forward to continue leading with cutting edge technology." On April 18, 2018, YDreams Global announced that it has delivered a new smart city project, a Technology Training Center for training commissioned by the second largest city of the State of Rio de Janeiro. The project was inspired by a previous project by YDreams Global, the Knowledge Vessel, a digital inclusion project that received the Intelligent Community Visionary of the Year 2016, from the Intelligent Community Forum, an organization from New York that studies the economic and social development of the 21st-century community and has an annual international award to recognize projects with positive effects in local communities in the world. The new project includes a new Virtual Reality solution to inspire and educate the new generation about the upcoming technology and its effects on training. The Training Center will serve thousands of children, teens and young adults that live around the facility, improving their quality of life and opening new career doors. All the communities that receive similar installations are located in neighborhoods with low income families and provide free training and high-end technologies. This is the 10th technology facility that YDreams Global has delivered with each returning recurring monthly revenues for the Company. Daniel Japiassu, CEO of YDreams Global stated, "We are proud to be chosen by the city to create this technology center. YDreams Global continues to lead the way in developing these smart city projects and thus building our recurring revenues at the same time." On March 29th, 2018, YDreams Global Opened Exhibition Featuring Gaming YouTubers With LG Electronics Inc as a Significant Sponsor. On February 27th, 2018, the Company announced that it was selected to present Arkave at SXSW, the most important technology and new media event in the world. On February 23rd, 2018, the Company announced that Schutz opened a new store in New York using YDreams Global technology. On January 22nd, 2018, YDreams Global signed new project with the Emoji Company. On January 12th, 2018, YDreams Global signed a $515,000 deal with major sponsor for new project. On January 5th, 2018, YDreams Global completed a new augmented reality project for the International fashion brand Schutz Stores. On December 22, 2017, YDreams Global announced the opening of the first Arkave store. On December 19, 2017, YDreams Global announced a mutual collaboration with Ubique, a reference in eSports with the goal of including Blockchain technology in Arkave. On December 12, 2017, YDreams Global signed a new Augmented Project for one of the biggest Media and Entertainment companies in the world. On November 9, 2017, YDreams Global announced the creation of a new blockchain, ICO and cryptocurrency division. On October 5, 2017, YDreams Global was commissioned by Qualcomm Inc. (QCOM—NASDAQ) to create and design a project for them for Futurecom 2017. On September 19, 2017 YDreams Global announced it was commissioned by Octagon to create a project for the NBA. YDreams Global Interactive Technologies Inc. (www.ydreamsglobal.com) is a technology company with offices in Vancouver, Dubai, São Paulo and Rio de Janeiro, that combines Augmented and Virtual Reality Technology, Design and Intelligence to respond to the challenges and demands of today's users and consumers. YDreams Global have developed over 1,300 projects for clients all over the world, such as Disney, NBA, Adidas, Cisco, Nokia, Nike, Mercedes Benz, Coca-Cola, Santander, AmBev, Qualcomm, Unilever, City of Rio and Fiat. This communication contains "forward-looking statements" within the meaning of applicable Canadian securities regulations. All statements other than statements of historical fact herein, including, without limitation, statements regarding our current and future plans and objectives, are forward-looking statements that involve various risks and uncertainties. There can be no assurance that such statements will prove to be accurate and future events and actual results could differ materially from those anticipated in such statements. Important factors that could cause actual results to differ materially from our expectations as well as a list of risk factors that we deem relevant are disclosed in the documents we file from time to time via SEDAR with the Canadian regulatory agencies to whose policies we are bound. Forward-looking statements are based on our current assumptions, estimates and opinions and are inherently subject to significant business, economic and competitive uncertainties and contingencies, many of which are difficult to predict and generally beyond our control. We do not undertake any obligation to update forward-looking statements should our assumptions, estimates or opinions change, other than as required by law and readers are advised not to place undue reliance on forward-looking statements.